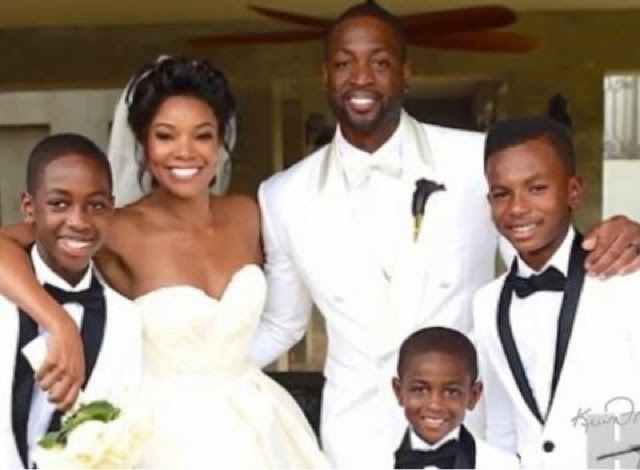 Dwayne Wade and Gabrielle Union's magical wedding couple possibly have been all for show. According to reports the two are not legally married because their marriage license is mysteriously missing from state records. 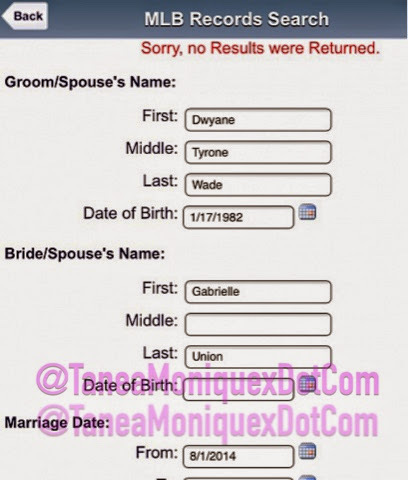 His (Dwayne Wade) state license to marry actress Gabrielle Union has yet to find its way into state records nearly six months after their Cinderella wedding! “But they still haven’t returned the licensed signed by the person who officiated the ceremony,” Reboso said. On August 26, 2014 Union and Wade went to pick up an unsigned marriage license. They tied the knot on August 30th in a private ceremony surrounded by close friends and family. With them picking up their unsigned license the 26th they had until September 9, 2014 to return it because the county allows 10 days from the ceremony for the marriage to be considered official. With a quick search of the system their union isn't officially registered 6 months later.